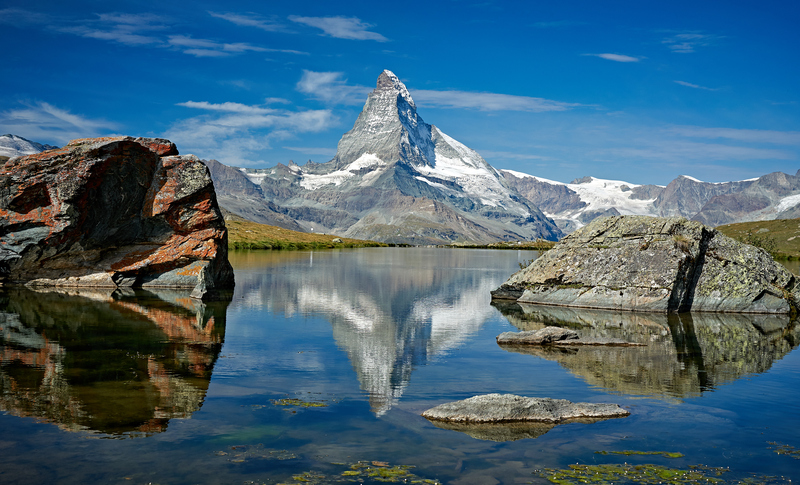 This shot of the epically beautiful Matterhorn was taken while hiking the 5-Seenweg (Five Lakes Hike), which offers 5 stunning lake views of the alps and is a true Swiss classic. This entry was posted on May 23, 2018 by lightbox3d. It was filed under Landscape, Photography, Switzerland, tourism, Travel and was tagged with beautiful, Clouds, Landscape, Matterhorn, mountains, reflections, Switzerland, water, Zermatt.